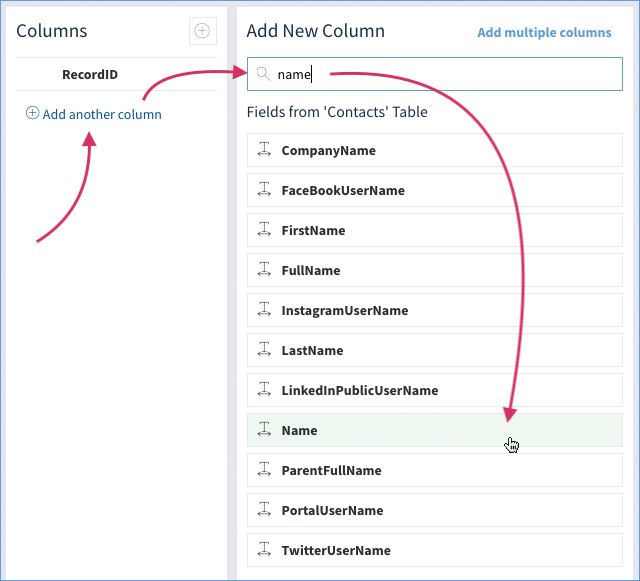 If you’ve been following along, you’ll remember our Contact field is a dropdown field type, associated with the Contacts table. However, if you were to open up the menu now, you'll notice it's empty! 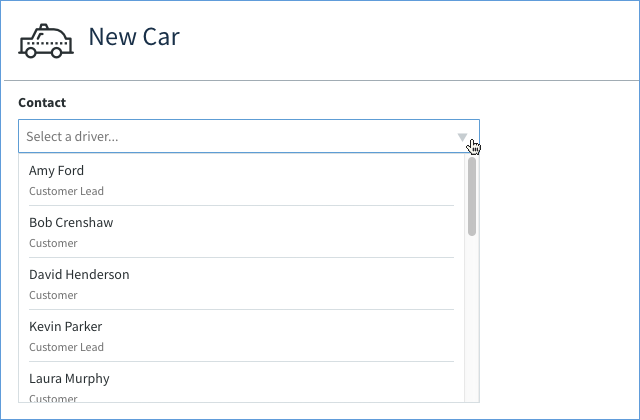 This dropdown was created from the Contacts table. Thing is, a dropdown can display any field from the table, and Method doesn't know which field to show. Just because the Name field makes sense for us to show, Method doesn't know that. So let's configure the dropdown to show the name field for each record. 1. Click the ⊕ New snapshot on your Cars app to take you to the New Car screen. 2. Click Customize Screen to bring it up in Design Mode. 3. 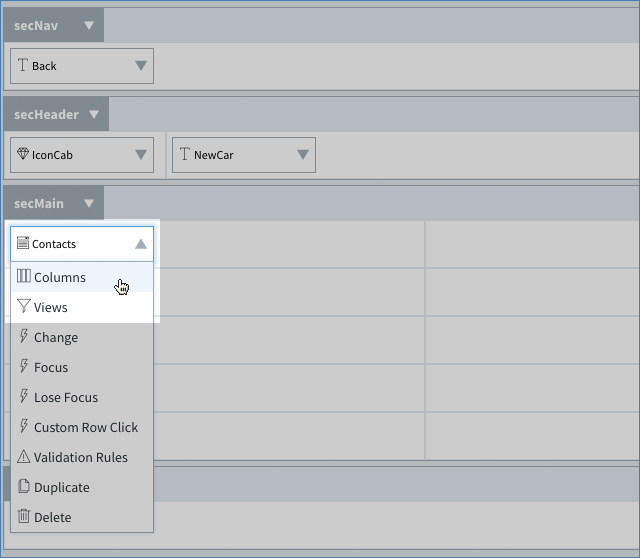 Select the Contact field and click the down arrow, then choose Columns. This will bring up the Column Property Window. Note: Just to be clear, the term “columns” is used a lot in Method. We’ve seen it in the context of a grid, and in the context of a cell. Now we’re using it in context of a dropdown. In a dropdown, a column is used to denote a field, another piece of information you’ll be pulling from the table. 4. Right now, the only field displayed under Contact is Record ID, but we want to display more information, so click ⊕ Add another column and search for the "Name" field. Click it to add it to the Columns on the left. 5. 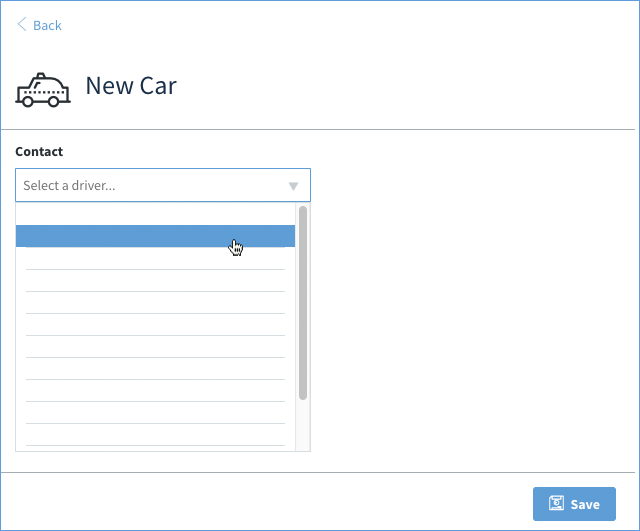 Follow the same steps to add the EntityType field. Your Columns list will now have three fields in it: RecordID, Name, EntityType. 6. Click Close to close the Column Property Window. 7. Save the screen now, and then Close to return back to the New Car screen. Now, when you click the down arrow in the Contacts field on the live screen, a list of contacts to will show with contact's Name and Customer Type displayed in the menu! This can be very helpful when searching for a specific contact in the list. Now that the controls are displaying properly, let's start adding functionality to buttons and links. In the next mission, we are going to make the < Back link work properly.